The human body has 206 bones, more than 300 joints and approximately 650 muscles, all of which are designed to work interdependently in order to function and move efficiently as a whole. If any one thing is not operating properly, the entire body can be affected. If the skeletal structure is out of alignment, or the soft tissue is unable to obtain a continuous supply of fresh oxygen, blood and fluids, a host of health issues, including pain, can result. The good news is, the body can heal. It can be restored. The body can sustain, adapt, and rebuild. It can also be maintained and conditioned in order to avoid dysfunction that causes pain. How your body operates, feels and functions is largely up to you. It’s all about what you choose to do with it. And we, at TriggerPoint, are here to help provide the guidance, tools and support you need. Take a moment to consider your habits, your activity level, the environment you live in, your job, the way you sit, walk and stand, your sleep patterns, your hydration levels. All of these factors contribute to how your body functions day to day. Empower yourself to hone your knowledge and build your toolbox so that you can maintain efficient movement, proper functionality, and live in a body that works and performs for you. Our body is composed of a number of different muscles, bones, joints and soft tissue; they all work together as one complex machine. Structurally, we have very little control over the development of our bones. But the good news is, efficiency of movement is driven by pliable skeletal muscle tissue, which we can affect. We can make dramatic improvements by focusing on this soft tissue and we can ultimately, improve and maintain how the body moves. It’s this pliable skeletal muscle tissue that allows the body to do what it was naturally created to do. As one part of the body moves it will stretch, pull, and compress other areas. For example, if someone is standing with their feet straight, and then rotated their knees in as far as they could, you would notice that the arch of the foot changes its position along with the ankle and even the hip. Even if you concentrate on trying to keep one area still as other parts move, you cannot. To begin, we've focused on six major areas of the body to gain an understanding of how the body works together and how each muscle group affects the rest of the body as a whole. We call this cause and effect system the kinetic chain. 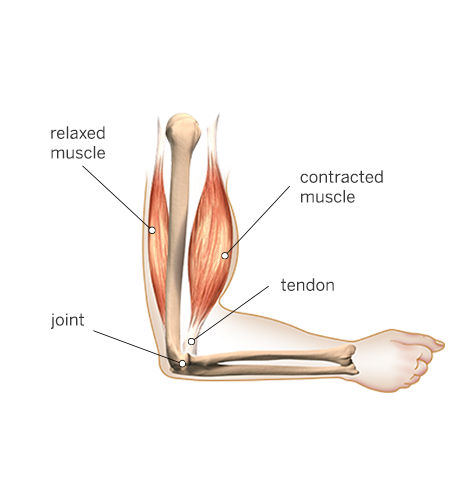 For good reason, there is a commonality in the muscles that are overused and overworked. Our environments and habits have shaped the way we move. If one area of the body compensates for a weak counterpart it can become tight, causing more disruption. See how the body is an interconnected chain. 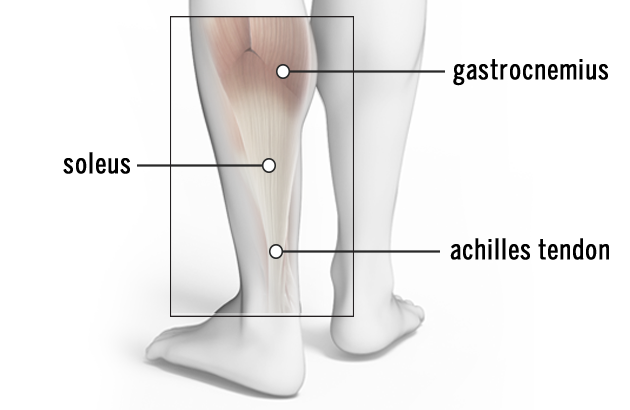 The soleus is a large muscle that helps to control the foot. 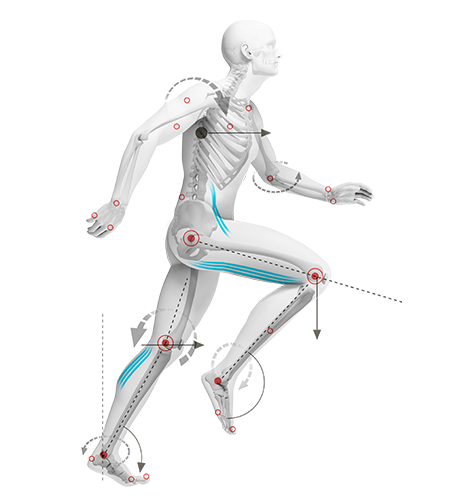 Due to incorrect walking patterns, injury, and even the type of shoe you wear, the foot can become rigid or dysfunctional, causing the soleus to become overactive and limiting the overall motion in the foot. Feet should be able to move freely and feel the ground. This sends the correct message to the brain and the body is able to make the best choice when it comes to movement. 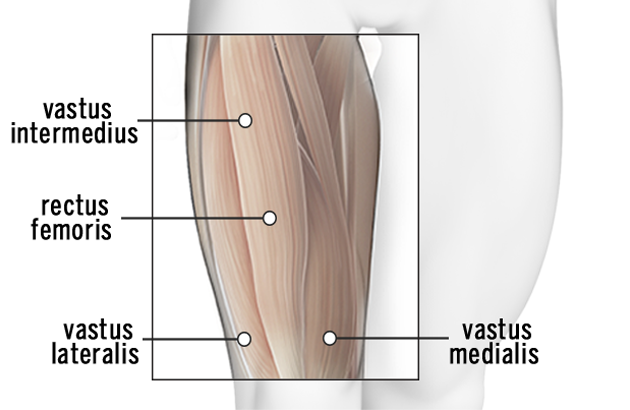 The quadriceps are one of the most powerful groups of muscles in the body. So powerful in fact, that they will begin to compensate and make up for a lack of power in other areas of the body. For example, if the calves and the glutes are not able to do their jobs, then the quads will often help, which enforces weak glutes. Additionally, the sedentary position that most people spend excessive time in tends to shorten areas of the quadriceps (the hip flexor portion) which then contributes to the over-activity and dysfunction of this area. The piriformis is a muscle deep in the hip that is often related to a painful condition known as “Sciatica” or “Piriformis Syndrome”. There is significant difference between the two conditions (for more specific information consult your doctor), but the area of the hip is related to both. 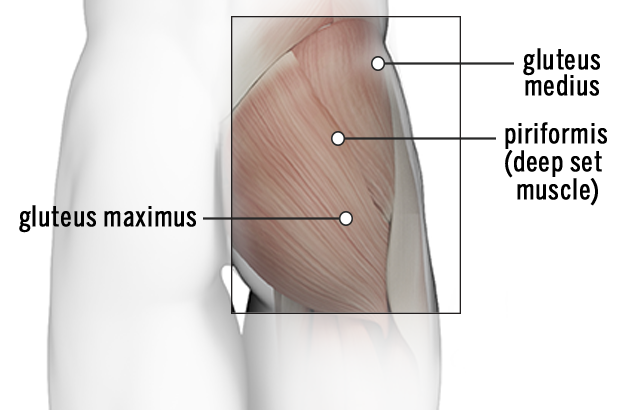 What is often misunderstood is whether or not the piriformis is short or long (tight or weak). The only way to determine this is by performing an assessment. In most cases the problem is not a short or long issue, it is a “stuck” versus mobile issue. As mentioned previously, sedentary positions, gait patterns, training styles and more can contribute to the inability of the piriformis and other hip muscles to move properly and produce force. 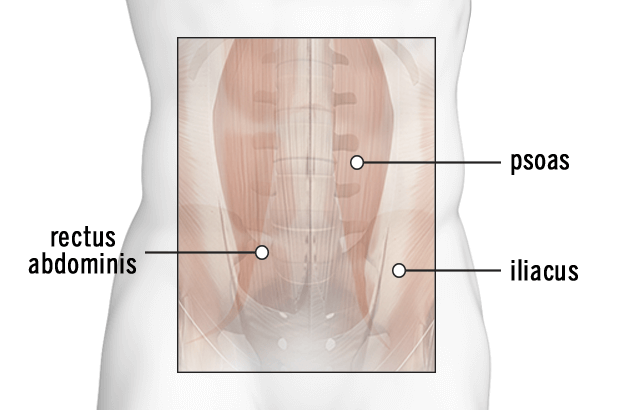 The psoas is considered a “core” muscle because of its location in the abdominal region. The psoas connects the spine to the leg making it primarily a hip flexor. It is very powerful and is the only hip flexor that is active above 90 degrees of hip flexion. The psoas is attached to the diaphragm and areas of the low back that are commonly injured, most notable the L4, L5, and S1 region (lower back). Improper breathing, improper posture, and other problems lower in the kinetic chain will lead to the psoas becoming dysfunctional. This dysfunction can prevent proper stabilization or pull on the spine, ultimately causing more mobility problems up the chain and possibly low back pain. The thoracic spine, or T-spine, is the anatomical name for the mid and upper back, positioned between the lumbar spine, or low back, and the cervical spine, located at the base of the neck to the head. The thoracic spine's main role is to stabilize the upper body and protect our vital organs, but it is also positioned to assist in rotation during movement. As we walk or run, the lumbar spine should be strong and provide support while the thoracic spine is mobile which allows the upper body to twist. If muscles lower on the kinetic chain are not working properly, then the body often “locks up” this mobile section of the back. If the thoracic spine doesn’t move properly, then breathing, shoulder function, and function of the cervical spine and head are disrupted. The general result can be aches or pains in and around the thoracic spine. 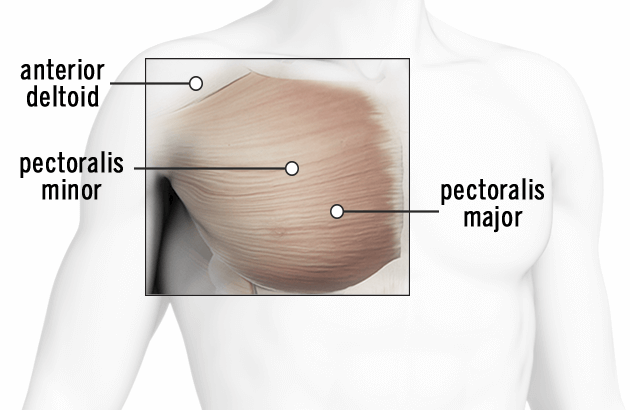 The pectoral muscles (pecs) fan from the breast bone (sternum) to the shoulder. The pecs are predominantly used to control the upper arm, but are also important in deep inhalation, lifting the ribcage and allowing the lungs to fill. 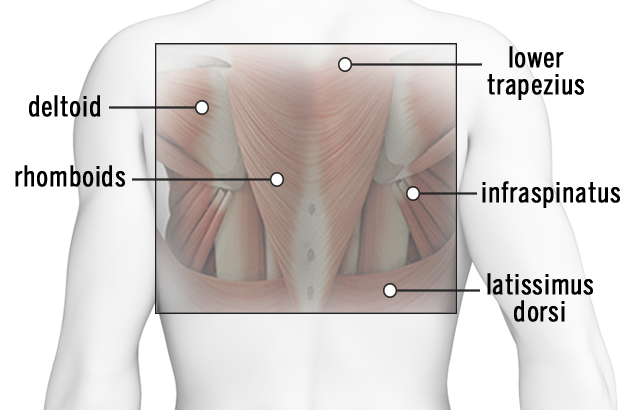 The pecs can become tight from the strain of rounding forward all day on computers, driving, stress, or improper breathing. Over time, the tight chest muscles may become short and overactive, decreasing shoulder range of motion and causing even more rounding forward. This rounded position pulls on the shoulders and is often felt as “tightness” in the muscles in between the shoulder blades.